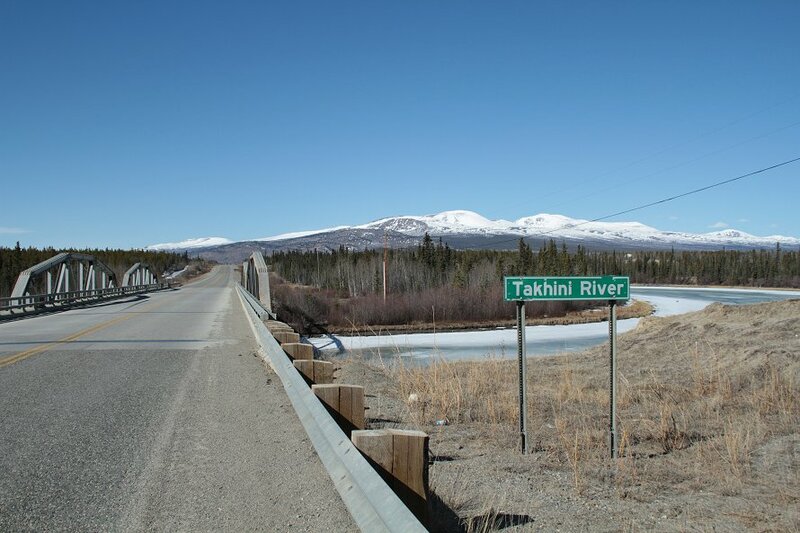 At Km 1468.9 (Historic Mile 946) you cross the Takhini River Bridge. There's a parking area at the south end of the bridge, offering pleasant views of the river and mountains. This photo was shot on April 18, 2012.